The Culmer family has been in the fine writing business since 1931. Three generations have made selling and servicing the best the pen world has to offer our life's work... ink runs in our veins. Please take time to peruse our new web site. We are quite proud of it. 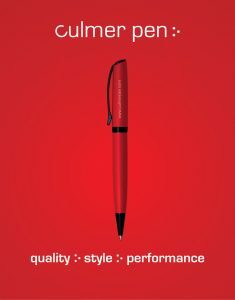 And if you have ANY questions about pens... well, you've come to the right place.